A large leafed variety of Watercress, bred particularly for growing to eat. 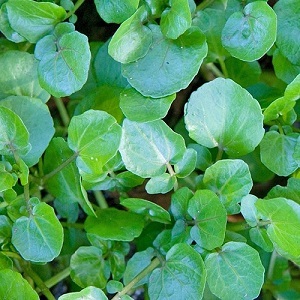 Watercress is a water-loving plant and can be easily grown at home by gardeners. Plants produce succulent large leaves with a pungent flavour and crisp texture. Watercress grows best in shade or part shade in waterlogged or very damp soil or can be grown in pots placed in sitting water. Plants also grow in full sun provided they have enough water. Harvest the stems regularly once they reach 5-10cm in length. Pack of approx 1000 seeds. Sow seed seeds directly in the soil or pots outside from March to August. Or sow in autumn when harvesting can be started in spring. 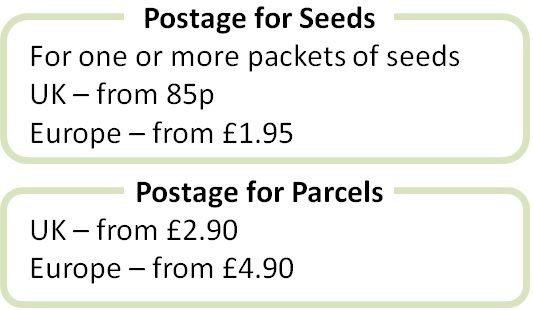 Sowing instructions and a colour photo are printed on the seed packet. Sow Sow seeds directly in the soil or pots outside from spring to late summer, typically March to August. Press the seeds into the compost and keep moist. Germination takes 2-3 weeks. Sow about 10 seeds into a 30cm pot and thin to 3-4 healthy seedlings. Harvesting starts about 2 months from sowing. Seeds can be sown in early autumn for an early start to next year’s season. These seeds can be used to grow Watercress as a micro-herb, where an entire tray of seedlings is harvested at the 5cm stage. Grow & Harvest Keep the plants moist and refresh sitting water once a week. Provide pot plants with a regular fortnightly liquid feed during the growing season. Harvest each stem when it reaches 5-10cm in length, leaving some stem on the plant, and harvesting no more than 1/3rd of each plant at a time. Harvest regularly to maintain a continuous supply of leaves. Stop harvesting once the plants flower, as the leaves become bitter. Trim back the plants at or after flowering. Plants are evergreen and will keep their leaves over winter, but growth slows down considerably until the following spring, when the plants start growing again. Stem cuttings can be taken in summer.